Attending a new church can be an awkward experience. We want to do everything we can to make your visit a pleasant and rewarding experience for you and your family. The Mt. 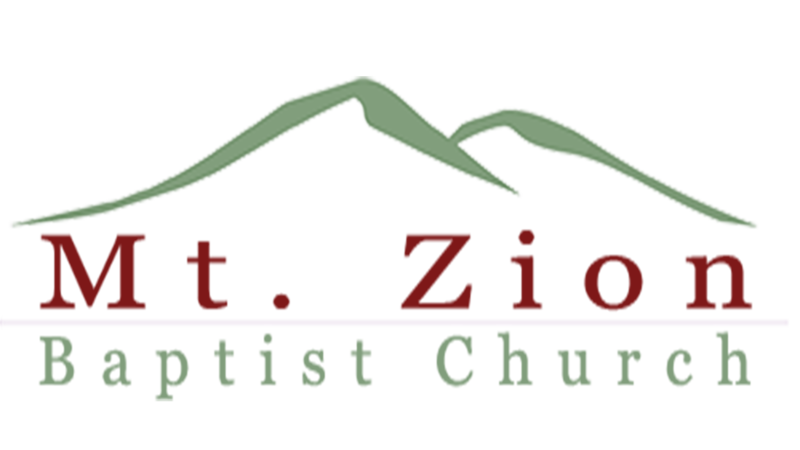 Zion family is always excited to meet new friends and we want you to be blessed by the helpful Bible teaching and preaching and inspiring music. We have provided answers to some common questions in hopes of making your first visit to Mt. Zion an enriching experience. Ample parking is provided on three sides of our building. Guest and handicap parking can be found on both the east side (upper level) and south side (lower level) of the building. A covered drop-off area, for your convenience, is on the east side of the building. Entry here through the main foyer leads directly to the sanctuary where the main worship services are held. Those with small children will find it easier to enter the building from the lower level entrance through the glass atrium, as the Nursery and pre-school departments are located on the lower level. At each entrance, a greeter will be available to assist you, and direct you to the correct class or department that you are looking for. At Mt. Zion we love children and take seriously the responsibility to give them the special care you would expect. The Nursery, for children age three and younger, is safe and clean. Caring workers staff the nursery for each worship service. You will be given a pager so that you can be easily and quickly notified if there is a need. On Sunday mornings at 10:00 a.m., children age three through Grade 6 can enjoy Bible-centered classes with trained and compassionate teachers and helpers. At 11:00 a.m. Children’s Church begins, as children learn the Bible in specially planned services for each grade level. Teenagers and college-age young adults have Bible Study classes and programs at 10:00 a.m. and attend the main worship service at 11:00 a.m.
No. We invite you to our services in hopes that you find a warm welcome, a meaningful worship experience, and a helpful message from God’s Word. We do not want you, as our guest, to feel any obligation to participate in the offering. There is not a dress code at Mt. Zion for members or guests. Most of our church family attire is traditional “Sunday best”, but it is our desire that you feel welcome and comfortable in our worship services. Please click the Contact Us tab on the home page to submit your question to us by email, or call us at 636.629.2501. At Mt. Zion, our Welcome Center is manned by a knowledgeable church member, who is available to answer any questions you may have upon your arrival. Whether you are new to the area and looking for a church home, or if it has been a long time since you’ve attended church at all, we hope your first visit at to Mt. Zion Baptist Church will be a great experience. We are here to serve you and your family. We want you to feel at home from the very first moment you arrive. We hope to meet you this Sunday! We are located at 1352 Parkway Drive in St. Clair, Missouri, less than an hour from St. Louis.